Saxicola longirostris Quoy and Gaimard, 1830, Western Port, Victoria, Australia. 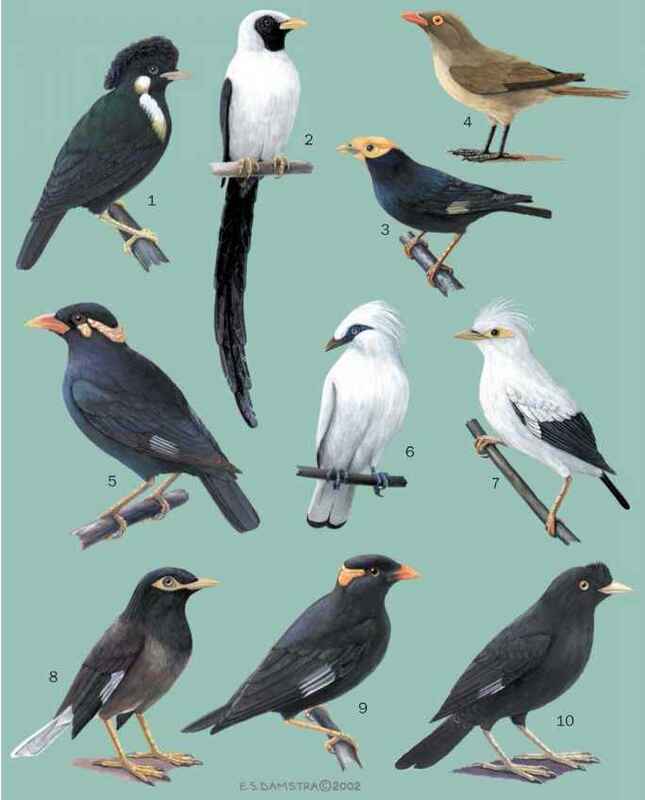 Up to 12 subspecies. English: Buff-breasted scrubwren, cartwheel bird; French: Seri-corne a sourcils blancs; German: Weissbrauen-Sericornis; Spanish: Sericornis de Cejas Blancas. 4.5 in (120 cm); 0.4-0.5 oz (11-15 g). A relatively small bird with a distinctive white brow above the eyes, white chest, and brown back. 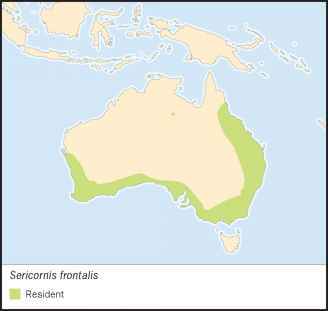 Coastal southwestern, southern, and southeastern Australia, including Kangaroo Island. Birds north and west of Adelaide have been regarded as a separate species (S. maculatus—spotted scrubwren). There is also physical variation on the east coast with northern birds being brighter and as many as 12 subspecies have been recognized. 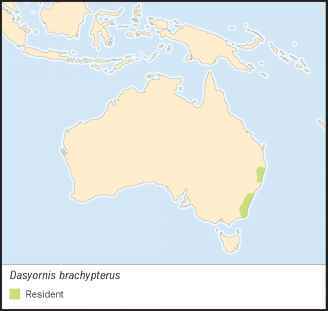 Coastal heathlands and swamps, eucalypt forest with dense un-derstory, rainforests. Occasionally in parks, gardens, and exotic pine plantations. An active ground and shrub dweller, which can sometimes be hidden but at other times quite visible and confiding. Typically in family groups, often with other scrubwrens and small birds. Quite sweet and complex, but rather erratic song. Harsh, scolding calls. Sedentary. Mostly gleans from ground, including amongst leaf litter, and from shrubs. May forage in association with scrub-turkeys (Alectura lathami) who rake leaf litter into their mounds. Takes insects and other invertebrates, and some seeds. Long breeding season from July to February. Rather large domed nest placed in low shrub or on the ground, and made of grass, bark, roots, and feather lining. Typically three, occasionally one, two or four eggs, which are pale blue, with brown freckles. May lay up to six clutches in a season. Some pairs have helpers. Incubation period is 17-22 days, fledging period is 12-18 days. Young are dependent on parents for a further six to seven weeks. Adults may live up to 17 years.